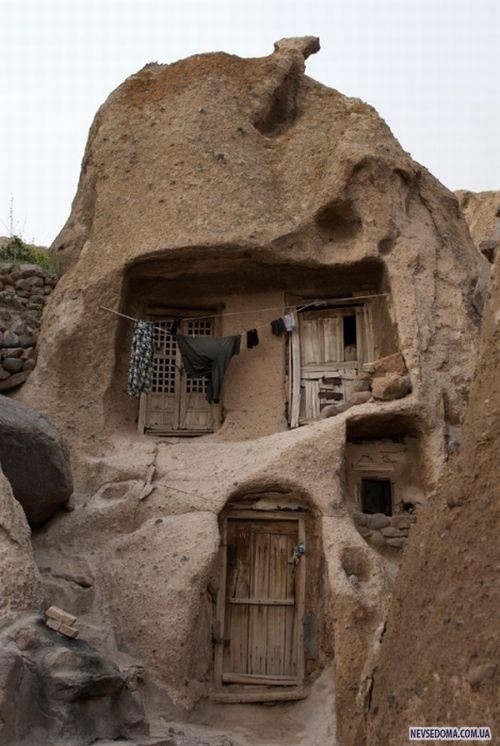 Kandovan is a tourist village in the province of East Azarbaijan, near Osku and Tabriz, Iran. Its fame is due to its troglodyte dwellings. Some of the houses are at least 700 years old and are still inhabited. Kandovan is also known for its scenic beauty. A popular resort, it offers hotels and restaurants to serve tourists. Its mineral water is also popular with visitors and is believed to be a cure for kidney disease.